We are Bozeman’s premier landscaping and irrigation construction firm. 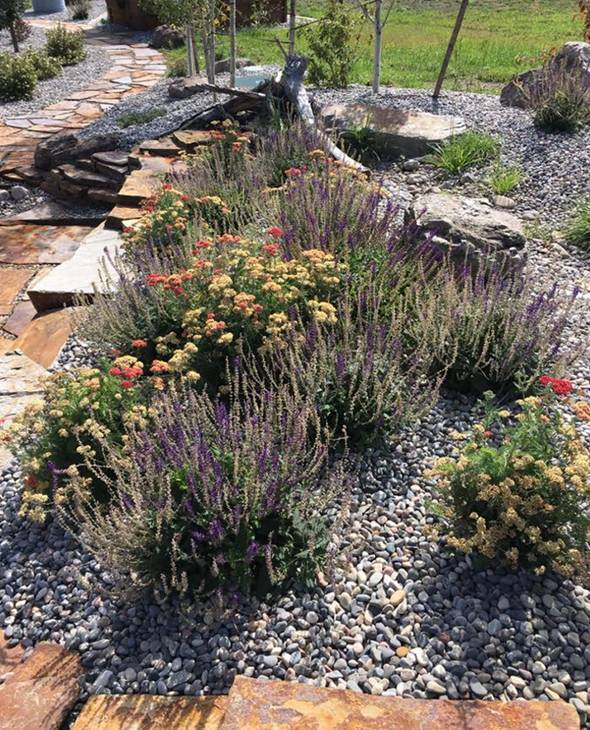 For years, MossCreek Landscapes has been creating exceptional landscape environments for commercial businesses and residents throughout the Gallatin Valley and surrounding areas. We offer homeowners and businesses alike a level of personal attention and commitment to quality landscaping that is unrivaled in Bozeman. We use state-of- the-art equipment to ensure that your outdoor environment is completed beautifully and promptly every time. The MossCreek Landscapes Inc. staff is comprised of designers, landscapers, and craftsmen who take pride in the landscape that they create. Every project is carefully planned and executed based upon your taste, budget, location and needs. Our design team takes the time to talk to you about your needs and preferences, to ensure that our landscaping work emulates your vision. We have the experience to take your project from square one to completion, or from a rough start to a beautiful outdoor environment. Our mission at MossCreek Landscapes Inc. is to provide residents and businesses of Bozeman, the Gallatin Valley and surrounding areas with the landscaping resources to turn their site into the dream outdoor environment that they envision for an affordable price. We strive to be the number one provider of quality landscaping work and customer service in Bozeman and the Gallatin Valley. Whether your project is large or small, MossCreek Landscapes Inc. and quality go hand in hand, by committing ourselves fully to the end result of each and every project. We offer a wide variety of landscaping services so that no matter how diverse your project is we can handle it with ease and finesse. We offer commercial and residential landscaping services such as: grading, sod & seeded lawns, trees & shrubs, rock & perennial gardens, Montana moss boulders, walkways, stone stairs, water features and more. Yes, from irrigation systems to retaining walls, our professional staff has the ability to create the outdoor environment you have always dreamed about. We provide superior landscaping services to Bozeman, Belgrade, Big Sky, the Gallatin Valley and surrounding areas. To find out what our company can do for you, contact us and begin planning your new outdoor environment today! © MOSSCREEK LANDSCAPES, INC. 2017. ALL RIGHTS RESERVED.